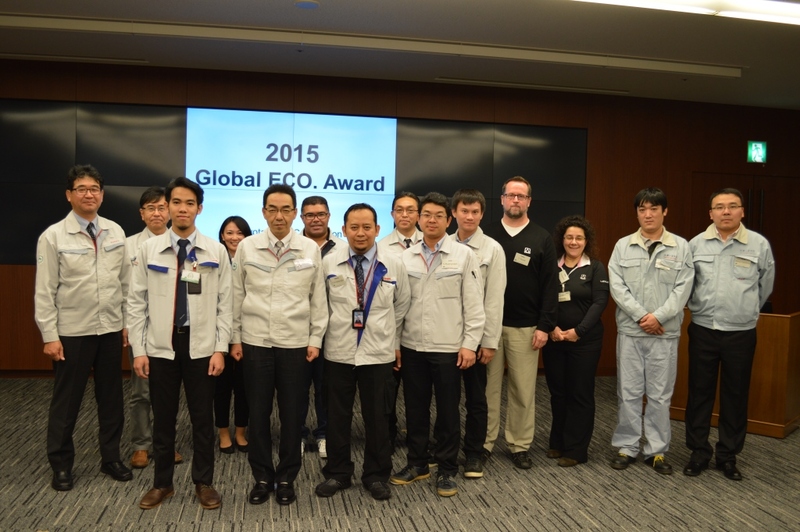 On November 16th 2015, Toyota Motor Manufacturing Indonesia (TMMIN) awarded 1st Platinum Award from Toyota Global Eco Award in the category of On-Site Kaizen Activity, Waste Reduction by Eliminate Sand from Casting Process. The award was presented by Mr. Tatsuro Takami (Managing Officer - Toyota Motor Corporation) to representatives of the Department of Plant Engineering & Environment at the Head Office Toyota Indonesia. With these achievements, it will encourage Kaizen team members to develop Kaizen to be more innovative in order to improve the motivation of employees and contribute to the environmental conditions.